As a specialist contractor, we declare that our services are performed according to accepted rules of technology. 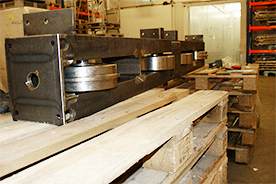 Our work we perform in accordance with applicable regulations, standards and regulations. For the processed materials, a material test is 3.1. The repairs made on the basis of existing structural data of an independent structural engineer. 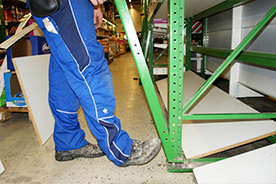 For the shelves, we guarantee that we repair the given plate under load-bearing capacity. Our company is registered as a company foreman at the Chamber of Lüneburg-Wolfsburg. We are members of the BGHM Hanover. For further questions please contact by calling 04823 / 922 8330 at any time. We are happy to help you - please do not hesitate to contact us.